Image from Joseph Smith Papers, showing ‘and Nephites’ crossed out in History, 1838–1856, vol. 1–A, p. 483. Handwriting of Willard Richards. As with “and Nephites,” the word “last” is actually crossed out in the pre-publication manuscript prepared under Joseph Smith’s direction.12 Thus, when reading the pre-publication manuscript without the crossed-out phrases, we only find that Zelph, himself a Lamanite, “was killed … during a great struggle with the Lamanites.”13 This suggests that, like in the Kimball account, this was an inter-Lamanite battle. Image from Joseph Smith Papers, showing ‘last’ crossed out in History, 1838–1856, vol. 1–A, p. 483. Handwriting of Willard Richards. Image from Joseph Smith Papers, showing ‘hill cumorah’ crossed out in History, 1838–1856, vol. 1–A, p. 483. Handwriting of Willard Richards. Among the six early accounts, only Wilford Woodruff mentioned the Hill Cumorah, stating that “the great prophet … was known from the hill Cumorah to the Rocky mountains.”16 In the earlier account written by Rueben McBride, it was Zelph himself who was “known from the Atlantic to the Rocky Mountains,”17 with no mention of the Hill Cumorah. Kenneth W. Godfrey, “What Is the Significance of Zelph in the Study of Book of Mormon Geography?” Journal of Book of Mormon Studies 8, no. 2 (1999): 70–79, 88. Donald Q. Cannon, “Zelph Revisited,” in Regional Studies in Latter-day Saint Church History: Illinois, ed. H. Dean Garrett (Provo, UT: Department of Church History and Doctrine, Brigham Young University, 1995), 97–111. Kenneth W. Godfrey, “The Zelph Story,” BYU Studies 29, no. 2 (1989): 31–56. 1. Wilford Woodruff, Diary, LDS archives; reproduced in Kenneth W. Godfrey, “The Zelph Story,” BYU Studies 29, no. 2 (1989): 35. 2. Letter to Emma Smith, June 4, 1834, p. 58, available online at josephsmithpapers.org, spelling standardized. 3. See Godfrey, “The Zelph Story,” 31–56; Donald Q. Cannon, “Zelph Revisited,” in Regional Studies in Latter-day Saint Church History: Illinois, ed. H. Dean Garrett (Provo, UT: Department of Church History and Doctrine, Brigham Young University, 1995), 97–111; Kenneth W. Godfrey, “What Is the Significance of Zelph in the Study of Book of Mormon Geography?” Journal of Book of Mormon Studies 8, no. 2 (1999): 70–79, 88. 4. 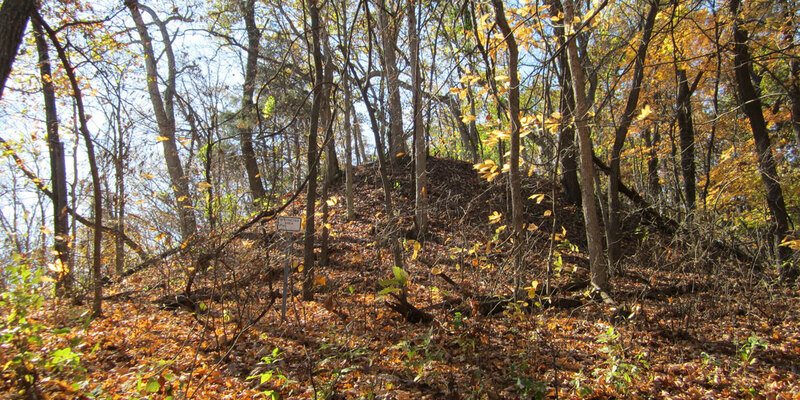 See Thomas J. Riley, “Joseph Smith, Zelph’s Mound, and the Armies of Zion: The Construction of American Indians from Archaeological Evidence in Illinois in the Nineteenth Century,” Illinois Archaeology 5, no. 1–2 (1993): 25; Kenneth B. Farnsworth, “Lamanitish Arrows and Eagles with Lead Eyes: Tales of the First Recorded Explorations in an Illinois Valley Hopewell Mound,” Illinois Archaeology 22, no. 1 (2010): 32–33. 5. “History of Joseph Smith,” Times and Seasons 6, no. 20 (January 1, 1846): 1076. 6. See, for example, Bruce H. Porter and Rod L. Meldrum, Prophecies and Promises: The Book of Mormon and the United States of America (New York, NY: Digital Legend Press, 2009), 105–108. For a review of this argument, mentioning many of the same points raised here, see Matthew Roper, “Joseph Smith, Revelation, and Book of Mormon Geography,” FARMS Review 22, no. 2 (2010): 62–70. 7. Godfrey, “The Zelph Story,” 42: “Interestingly, the earlier accounts do not expressly identify Zelph with the Nephites, as do the later accounts.” In a late account, written in the 1850s (about 20 years after the event) by Wilford Woodruff, he said Zelph “Had joined the Nephites & fought for them under the direction of the great Onandagus who held sway & command over the Armies of the Nephites.” But nothing about the Nephites is mentioned in Woodruff’s earlier account, written in 1834 probably within a few months of the events described, and some details in his later account are contradicted by his and the other earlier accounts. None of the other accounts written before Joseph Smith’s death mention the Nephites either. The primary source accounts are reproduced in Godfrey, “The Zelph Story,” 34–42; Cannon, “Zelph Revisited,” 98–102. 8. See History, 1838–1856, vol. 1–A, p. 483, online at the josephsmithpapers.org. Manuscript is in the handwriting of Willard Richards. Also, at the top of the page, both “Nephites” and “Lamanites” originally appeared as an identification of who built the mounds, but were subsequently crossed out: “During our travels we visited several of the mounds which had been thrown up by the ancient inhabitants of this country, Nephites, Lamanites &c” (pp. 482–483). 9. Rueben McBride, whose account is generally regarded as the earliest, possibly written within days of the event, simply said Zelph “was killed in battle,” while Wilford Woodruff said “he was killed in battle with an arrow.” Godfrey, “The Zelph Story,” 34, 36; Cannon, “Zelph Revisited,” 98, 101. 10. “Extracts from H.C. Kimball’s Journal,” Times and Seasons 6, no. 2 (February 1, 1845): 788. Godfrey, “The Zelph Story,” 39 dates the account to “possibly around 1843,” as does Mark Alan Wright, “Joseph Smith and Native American Artifacts,” in Approaching Antiquity: Joseph Smith and the Ancient World, ed. Lincoln H. Blumell, Matthew J. Grey, and Andrew H. Hedges (Salt Lake City and Provo, UT: Deseret Book and Religious Studies Center, Brigham Young University, 2015), 123–124. 12. History, 1838–1856, vol. 1–A, p. 483. 13. History, 1838–1856, vol. 1–A, p. 483. Notice also that the prepublication manuscript has “a great struggle” rather than “the [last] great struggle,” as in the published version. 14. See Godfrey, “The Zelph Story,” 38, 44, 47; Godfrey, “What Is the Significance of Zelph,” 73–74, 75 discuss possible meanings of this phrase. 15. History, 1838–1856, vol. 1–A, p. 483. The manuscript also has Onandagus rather than Omandagus. 16. Godfrey, “The Zelph Story,” 36. Later interlinear additions add “or East sea” after “Cumorah.” See Cannon, “Zelph Revisited,” 98. 17. Godfrey, “The Zelph Story,” 34; Cannon, “Zelph Revisited,” 102; capitalization standardized. 18. For a more detailed discussion of the History of the Church account and its textual history, see Godfrey, “The Zelph Story,” 42–46; Godfrey, “What Is the Significance of Zelph,” 74–75. 19. Godfrey, “The Zelph Story,” 47; Godfrey, “What Is the Significance of Zelph,” 75. When commenting on what can be concluded from the Zelph accounts, Donald Q. Cannon similarly concluded that we know “these skeletal remains belonged to Zelph, a white Lamanite, who had been a warrior under a leader named Onandagus,” but says nothing about the last battles between Nephites and Lamanites, nor Cumorah. See Cannon, “Zelph Revisited,” 108. 20. John A. Widtsoe, “Is Book of Mormon Geography Known?” Improvement Era, July 1950, 547. 21. Cannon, “Zelph Revisited,” 108, emphasis added. For more on what Joseph Smith and his contemporaries believed about Book of Mormon geography, see Matthew Roper, “Limited Geography and the Book of Mormon: Historical Antecedents and Early Interpretations,” FARMS Review 16, no. 2 (2004): 225–275; Andrew H. Hedges, “Book of Mormon Geography in the World of Joseph Smith,” Mormon Historical Studies 8, no. 1–2 (2007): 77–89; Matthew Roper, “John Bernhisel’s Gift to a Prophet: Incidents of Travel in Central America and the Book of Mormon,” Interpreter: A Journal of Mormon Scripture 16 (2015): 207–253; Matthew Roper, “Joseph Smith, Central American Ruins, and the Book of Mormon,” in Approaching Antiquity, 141–162. 22. Godfrey, “What Is the Significance of Zelph,” 70–79. 23. Cannon, “Zelph Revisited,” 107. 24. Mark Alan Wright, “Heartland as Hinterland: The Mesoamerican Core and North American Periphery of Book of Mormon Geography,” Interpreter: A Journal of Mormon Scripture 13 (2015): 126–128. See also Cannon, “Zelph Revisited,” 107–108; John L. Sorenson, “Mesoamericans in Pre-Columbian North America,” in Reexploring the Book of Mormon: A Decade of New Research, ed. John W. Welch (Salt Lake City and Provo, UT: Deseret Book and FARMS, 1984), 218–219; Robert L. Hall, “Some Commonalities Linking North America and Mesoamerica,” in The Oxford Handbook of North American Archaeology, ed. Timothy R. Pauketat (New York, NY: Oxford University Press, 2012), 52–63. 25. See Wright, “Heartland as Hinterland,” 116–118. Given the timing of these migrations in the Book of Mormon (mid-first century BC), it is interesting to note that archaeological findings and radiocarbon dating suggests that the Zelph mound is “a ceremonial mortuary center for regional Hopewellian populations during early portions of the Middle Woodland period (ca. 50 BC–AD 100, uncalibrated).” (Farnsworth, “Lamanitish Arrows,” 34.) Kenneth Farnsworth and Karen A. Atwell, Excavations at the Blue Island and Naples-Russell Mounds and Related Hopwellian Sites in the Lower Illinois Valley, Illinois State Archaeological Survey Research Report 34 (Urbana-Champaign, IL: Prairie Research Institute, University of Illinois, 2015) provides the most extensive and up-to-date archaeological report of the Zelph mound (known as Naples-Russell 8 or just Naples 8) and the surrounding area. The radiocarbon dating of skeletal remains near the surface of the mound, thus “likely one of the final burials placed in this massive mortuary facility,” dated to the first century AD (p. 181, 194). Other radiocarbon dates from the nearby area “cluster in the last century BC and the first century AD” (p. 181, 193–197), leading Farnsworth to conclude, “Perhaps as early as 50–0 BC, construction of the Naples 8 earthwork began” (p. 181). This would place the beginning of the Hopewell community which started the mound at about the same time-period in which Book of Mormon peoples were migrating northward, some of whom could have hypothetically settled in the Illinois River Valley and joined with these Hopewell groups. It is impossible to be certain exactly when Zelph himself dated to based on these findings, but given that remains close to the surface were dated to the first century AD, it seems most likely that Zelph (who was found at a similar depth) dated to this same time-period. Some radiocarbon data (p. 169, 184) suggested that the mound was used in the Late Woodland period (ca. 12th–14th century AD) for cremation ceremonies, leaving the possibility open that Zelph came later, but the primary use of the mound appears to be between 50 BC–AD 100. No current evidence ties the mound to the 4th century AD. 26. Godfrey, “What Is the Significance of Zelph,” 77.